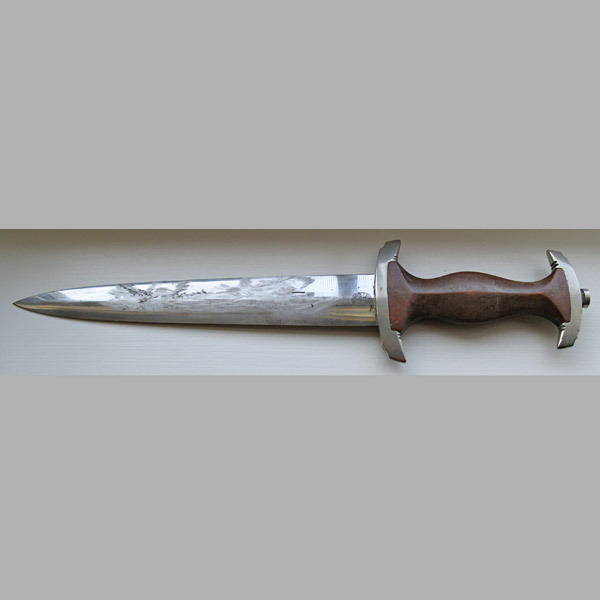 A very nice “field ground” Rohm SA Dagger by Eickorn. 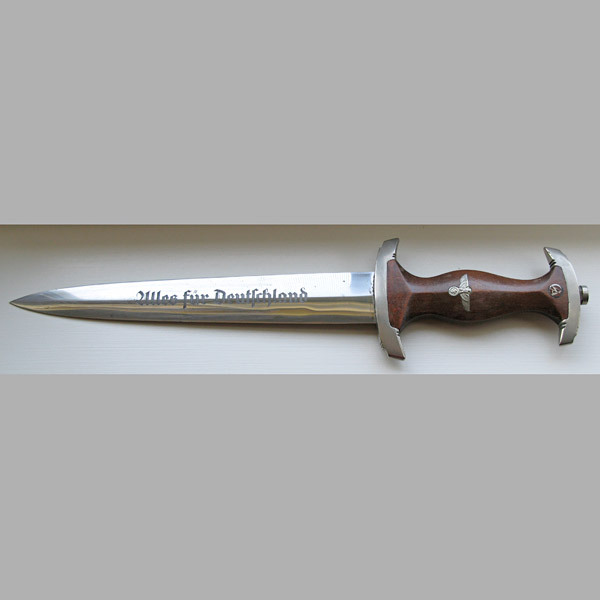 In 1934, Ernst Rohm was executed on Hitler’s orders, and all inscriptions on these daggers were ordered removed (ground away) by Hitler. 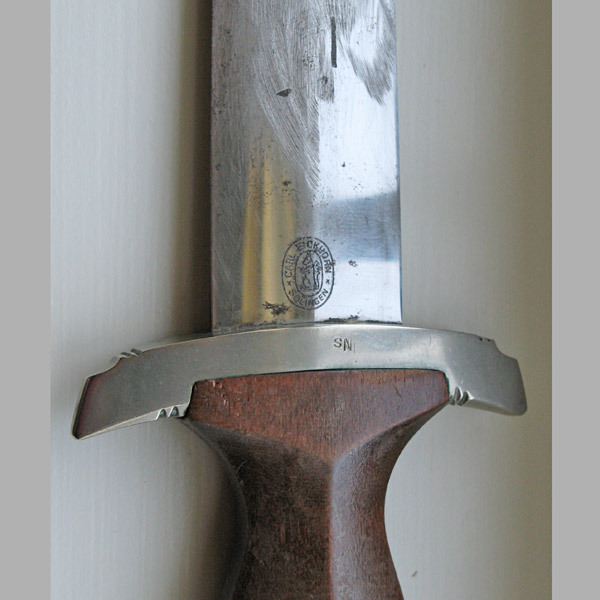 There are several points of the inscription still identifiable on this one due to the crude nature of the “field grinding”. 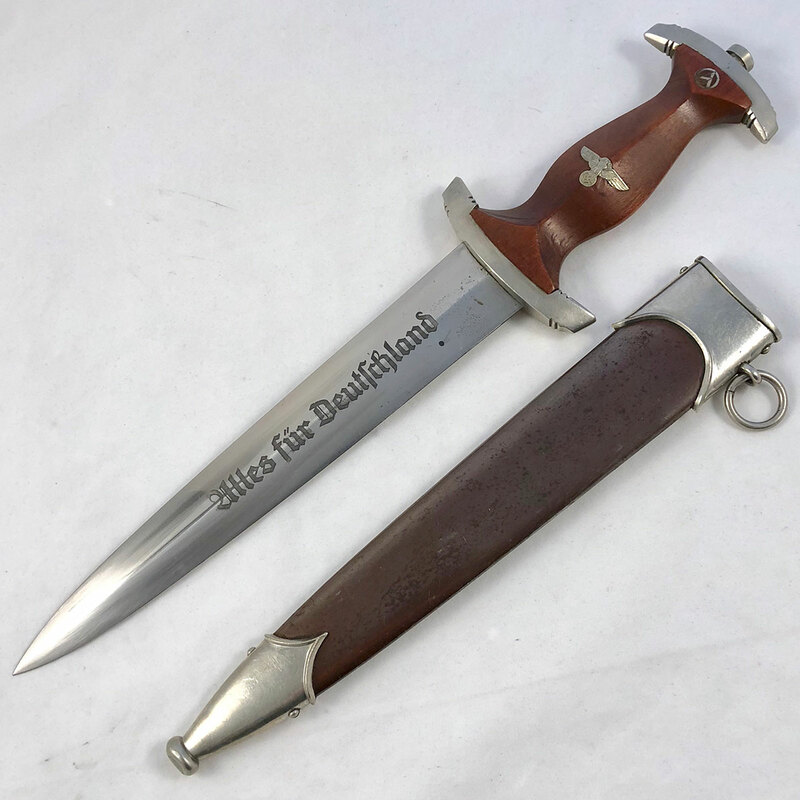 Since anyone carrying an SA Dagger with the inscription still in tact would have been considered in defiance of Hitler’s orders, many ground the inscription using whatever tool they had available to them at the time, including stones. 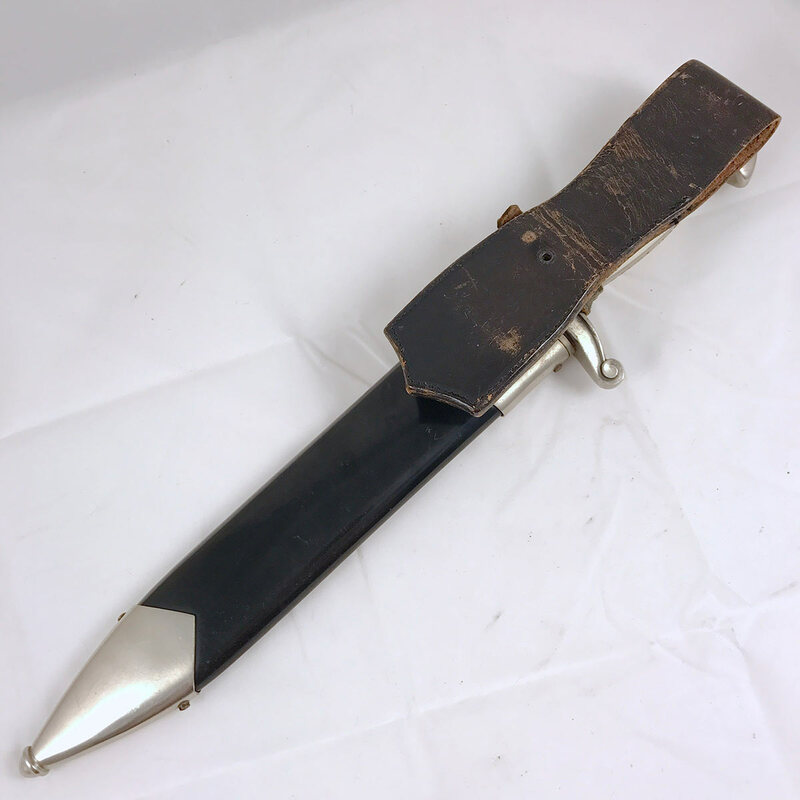 Overall condition of this dagger is great, with average age and runner marks on the blade, but no major pitting or other marks on the blade, other than the grinding marks where the inscription used to be. 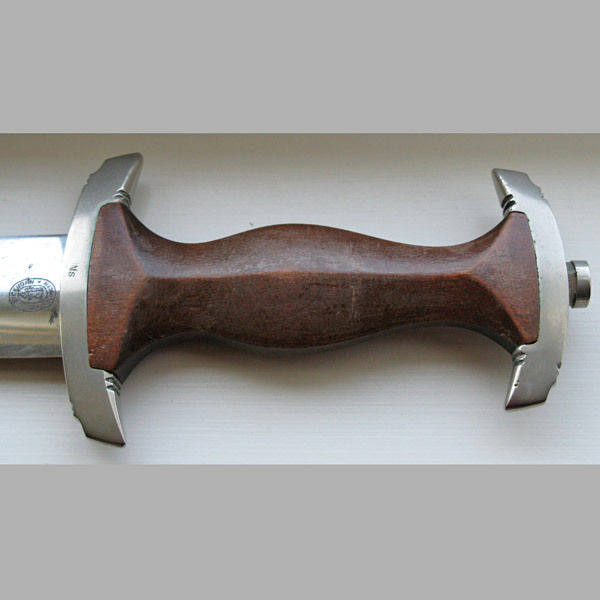 The grip retains its original finish and is free of cracks and any major flaws. 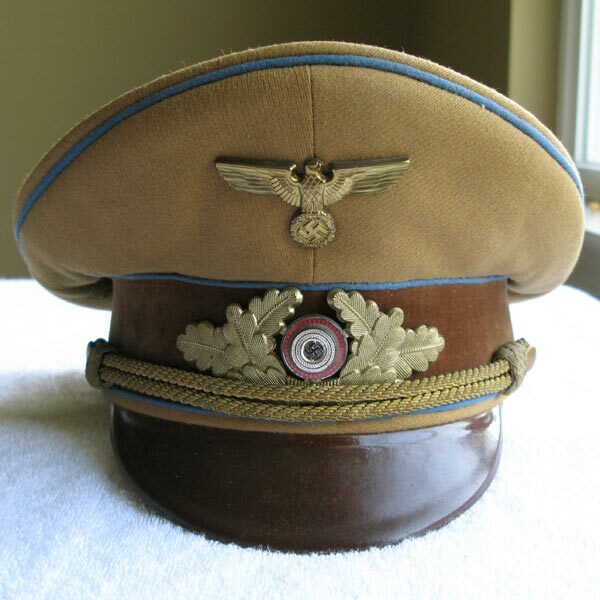 The eagle emblem is crisp and the SA button is only slightly discolored around 60% of the edge, which is fairly common. 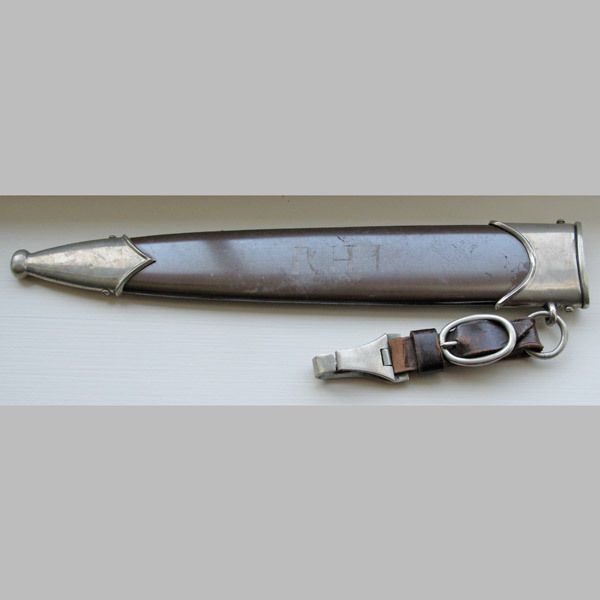 The Scabbard is dent-free and retains 95% of its color, with only normal use scratches to note. 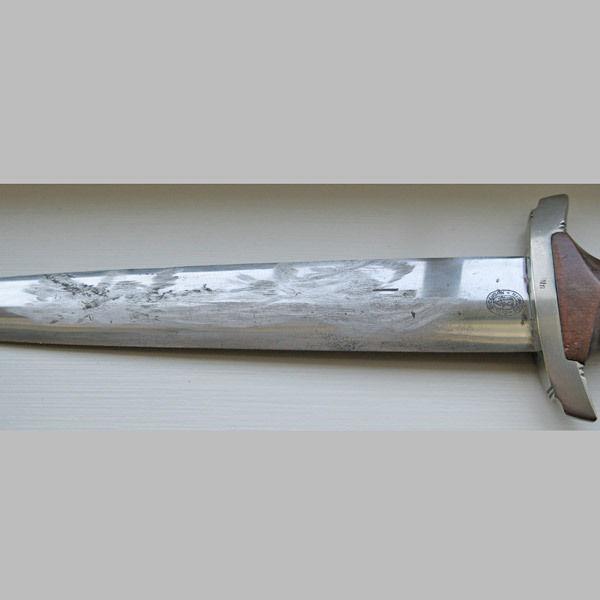 The original carrier of this Dagger carved his initials into the center of the scabbard, “RHJ”, which is a fairly common location. I’d be happy to help. 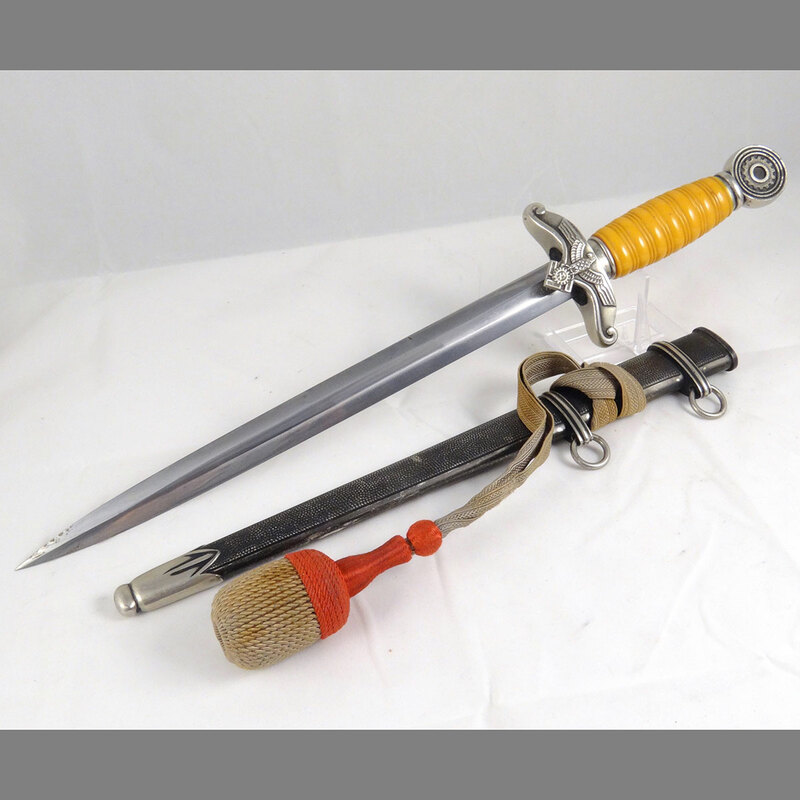 All I need from you are a few photos showing the entire length of both sides of the dagger and scabbard, as well as a couple close up shots of just the handle area (both sides showing the entire handle area). 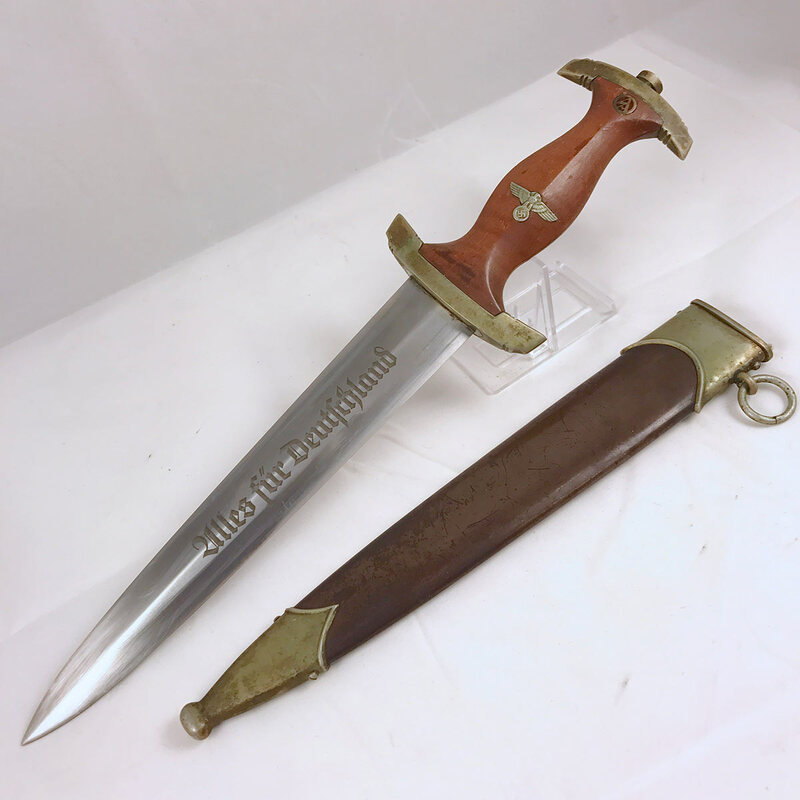 SA daggers have become very common over the past couple of year as our veterans pass away and families find them tucked away so there is a good chance it’s original. 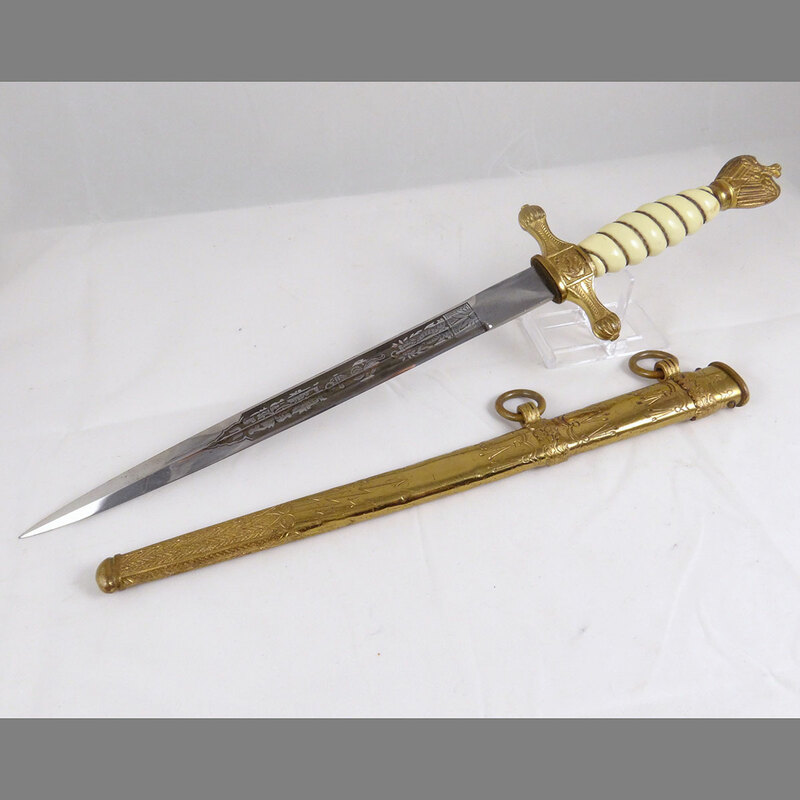 Once you have the photos, click here and upload the photos via our appraisal section. Thanks for your comment. 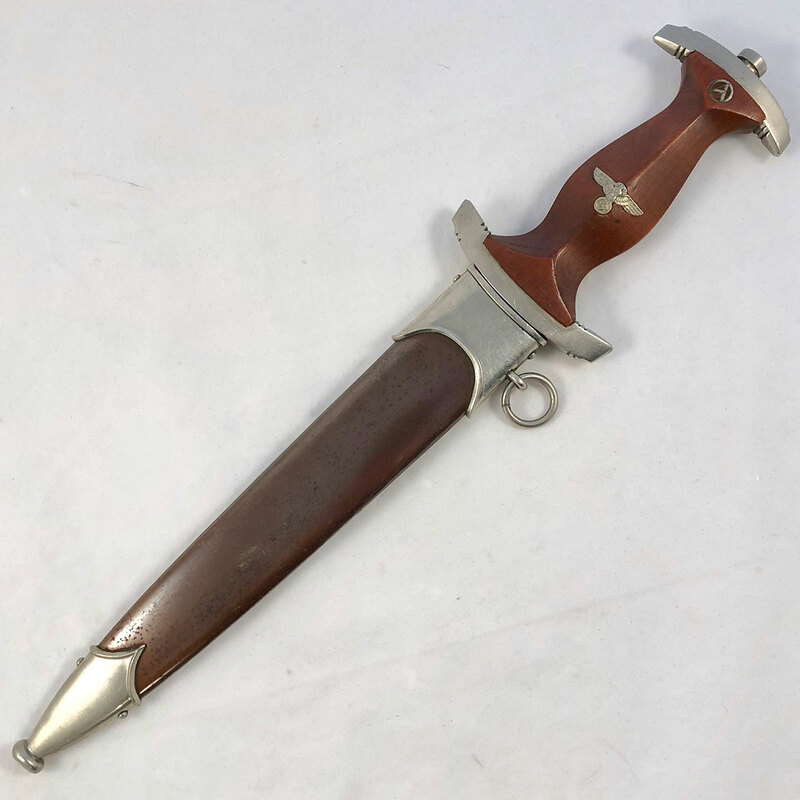 I’d like to request some photos of your SA dagger so that I can give you an accurate assessment of its value. 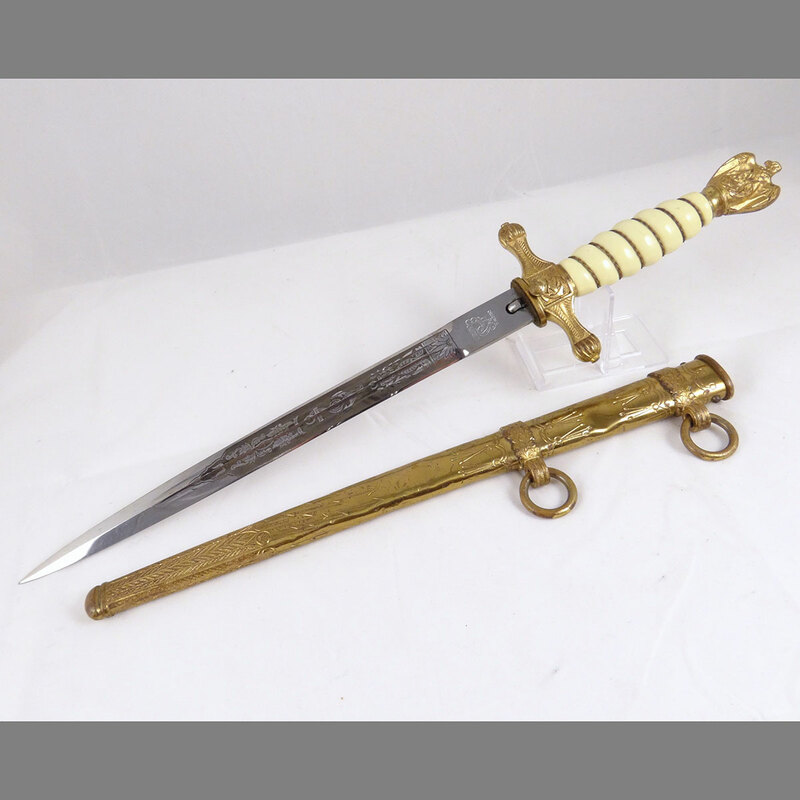 Since these daggers vary so much in price, which is based largely on conditional elements as well as when it was made (what period; early, mid-period, or late-war), photos will help significantly with our review and pricing. 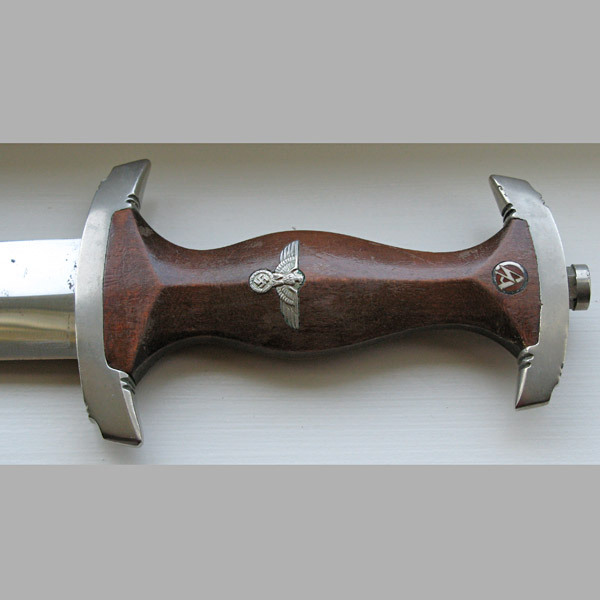 Please consider uploading a few photos showing both sides of your dagger (blade exposed), as well as both sides of the SA dagger’s scabbard. You can do so by clicking here. 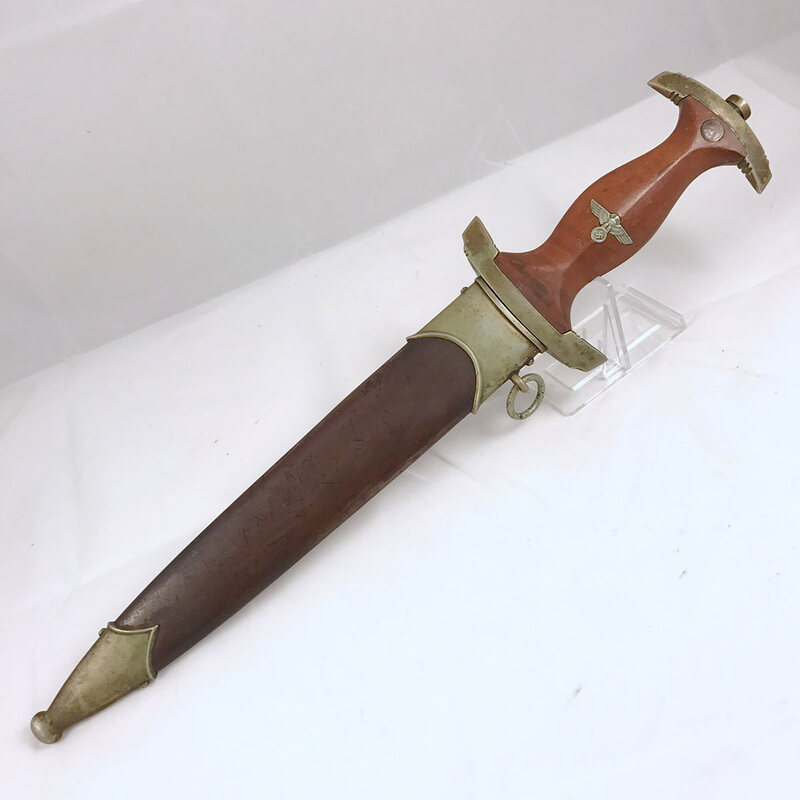 I have a perfect specimen of this SA dagger complete with scabbard. 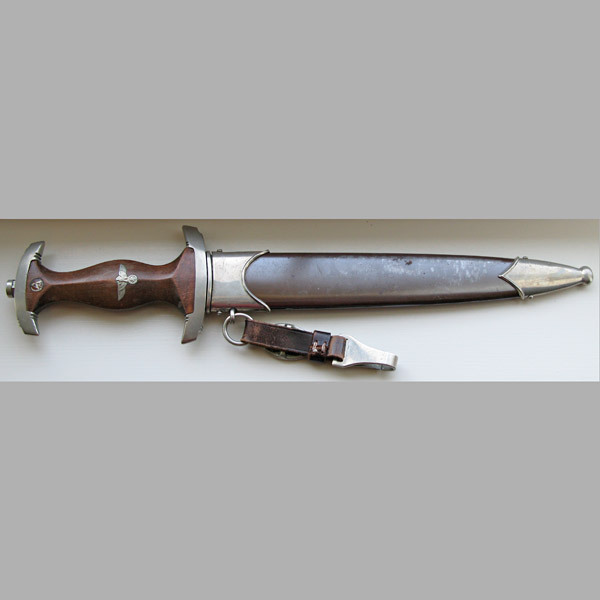 All markings are as per original condition and no initials. Everything is in perfect condition. Could you give me a current valuation. Hi Andrew. 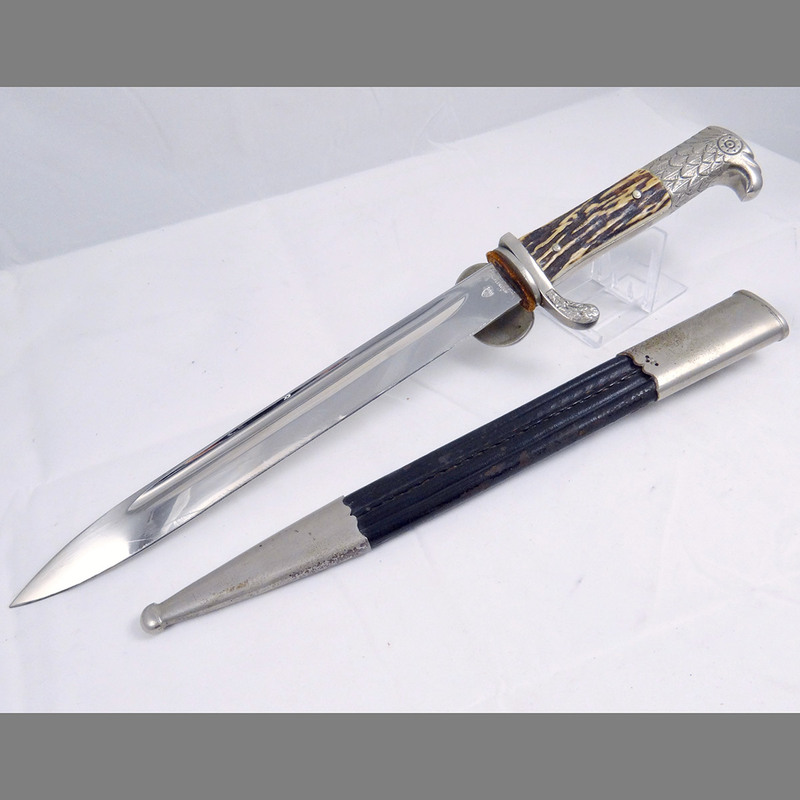 This dagger is actually still for sale. 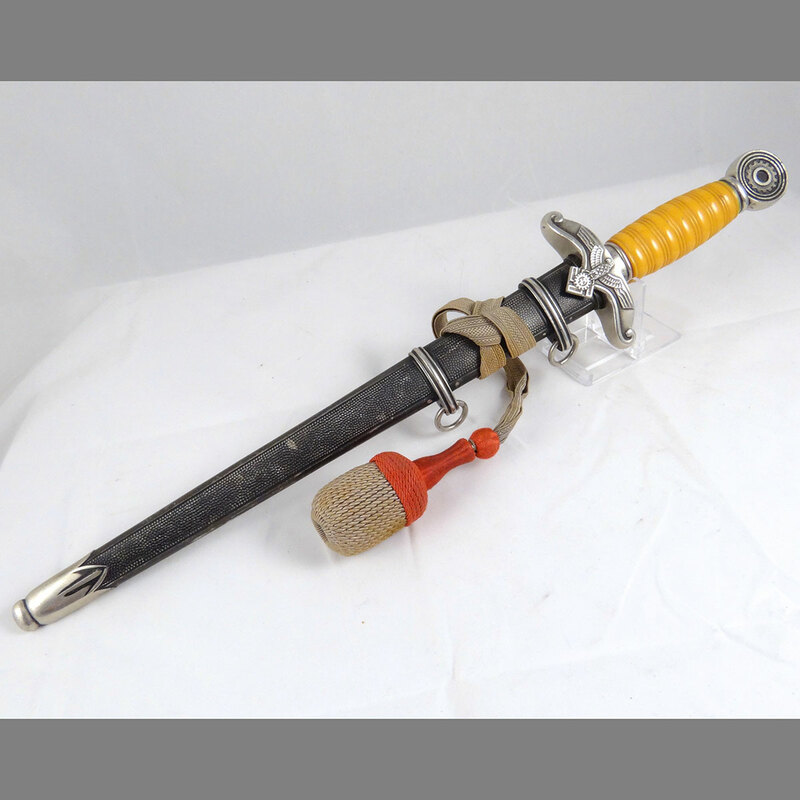 See the asking price noted above. 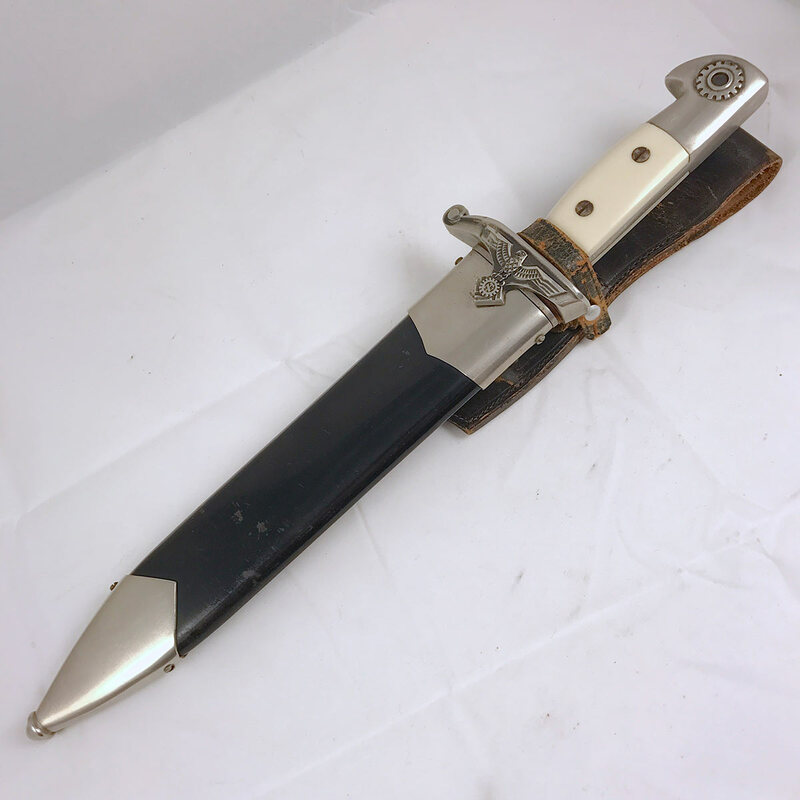 If you’re interested in purchasing this dagger, or have one similar to it that you’re interested in selling, please contact me by clicking here. 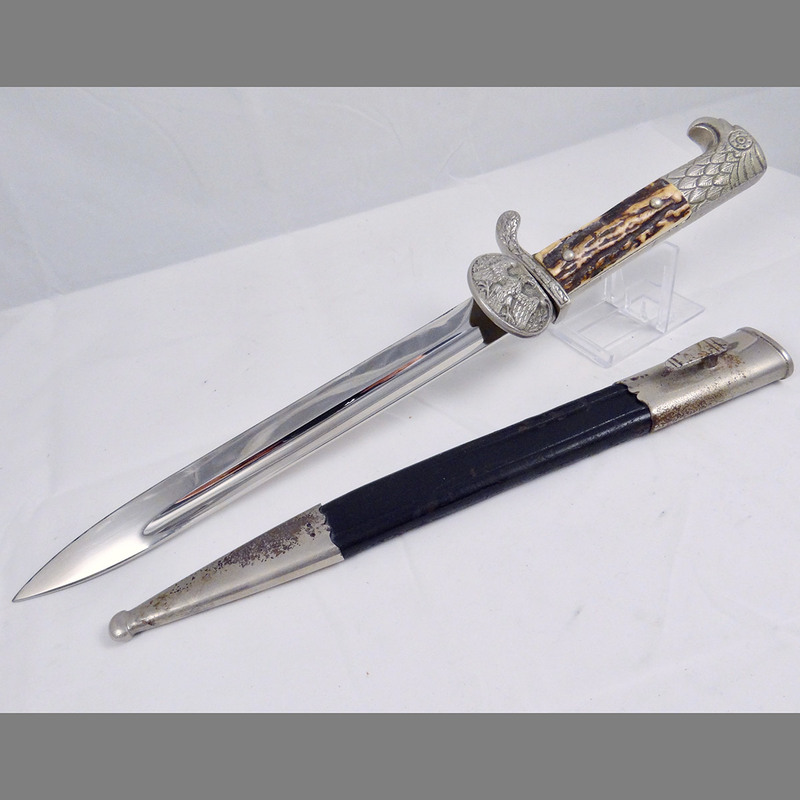 I was just wondering how much did the above Carl Eickhorn Partial Ground Rohm SA Dagger – Personalized (ID # 01139) sell for?